On 19 August, Sunday evening (European time), Mars Express will start its first data relay with NASA’s Mars Curiosity rover in style by fitting in not just our first pass with Curiosity but also by ‘rolling away’ afterwards to talk with NASA’s veteran Mars rover, Opportunity. This will be the first time in the history of the Mars Express mission where this double lander contact has been attempted within a single orbit of the spacecraft (1 orbit around Mars for Mars Express lasts around 7 hours). As the spacecraft approaches the planet it will turn away from Earth and ‘roll’ over the top of Curiosity’s new home in Gale Crater, keeping the Melacom antennas pointed directly at the new rover. After this contact, Mars Express will turn back to Earth briefly and then spin away again, performing the same ‘Spot Pointing’ manoeuvre for Opportunity as Mars Express flies over its location in Endeavour Crater. This double relay will be an exciting test of the capabilities of Mars Express, both in relay terms and in pointing, and to not only prove our communication capability with the new (and fantastic!) 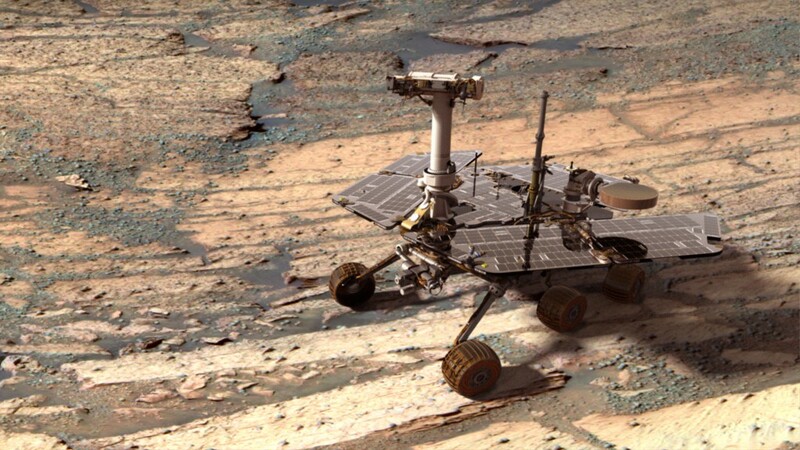 Curiosity rover but also to continue our commitment to its predecessor – the venerable Opportunity rover. The past weeks have seen intense cooperation between NASA and ESA to coordinate and plan these activities, which are intended as demonstrations of the relay capabilities of Mars Express. The overflight of Opportunity will be part of a long-standing activity to periodically check the ability of Mars Express to relay data from Opportunity, if ever needed. Many of these overflights were done leading up to the landing of Curiosity to cement the technical ability of the two agencies to work together on planning routine relay operations. The overflight of Curiosity will be the first time that Mars Express and Curiosity have actually ‘talked’ to each other. During the landing of Curiosity, Mars Express only listened in and recording the radio signal of Curiosity, but Sunday evening, 19 August, the two spacecraft will actually have a ‘conversation’ and for the first time Mars Express will receive and decode actual data from the lander. We’re confident in the ability of the two spacecraft to be able to communicate for several reasons – the main one being that both implement an international standard called Proximity-1 [this is mentioned in our earlier Melacom post – Ed]. This standard was designed to make sure that even though the spacecraft come from different manufacturers and different agencies, the way they talk to each other is still the same – it can be thought of like an ‘agreed common language’. 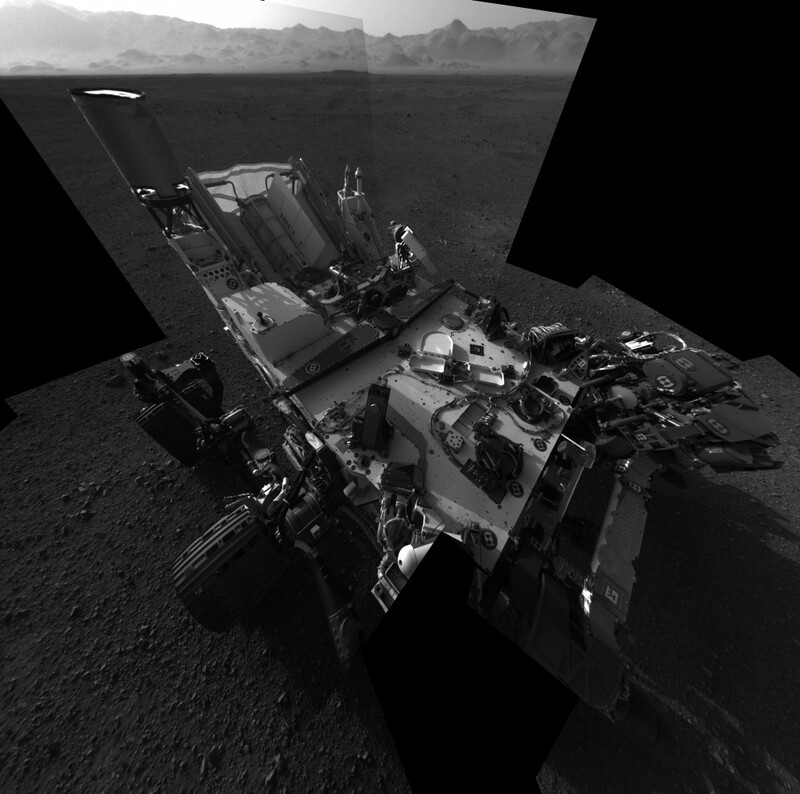 On top of this, is our extensive experience relaying data for Phoenix, Spirit and Opportunity and the fact that a team from QinetiQ (who built our Melacom radio) travelled to JPL to test a copy of it with a copy of the Curiosity radio. However, any new activity in space is challenging and we stand ready at ESOC to investigate, analyse and improve – optimising our ability to support the Curiosity mission for NASA. All of this will allow Mars Express to make a call to Curiosity in Gale Crater and between the spacecraft agree autonomously to exchange data. Curiosity will send back data that will be decoded by Mars Express and stored ready for forwarding to Earth; then we’ll quickly reset and prepare a very similar activity for Opportunity in Endeavour Crater. Next, on Monday morning, Mars Express will send the data to ESA’s 35m New Norcia (Australia) ground station and then from there it will make its way to ESOC and on to the control room at JPL. The data’s journey will be long (Gale Crater/Endeavour Crater -> Mars Express -> New Norcia, Australia -> ESOC, Germany -> JPL, USA) but we’ll make sure it arrives safe and sound – proving the ability of Mars Express to support communications with both Curiosity and Opportunity whenever needed. We’ll post more details when we know the results of the test and can hopefully announce on Monday that Mars Express has been ‘qualified’ as a really-long-distance relay for Curiosity – expanding the network of spacecraft and cooperation at Mars in spectacular style!